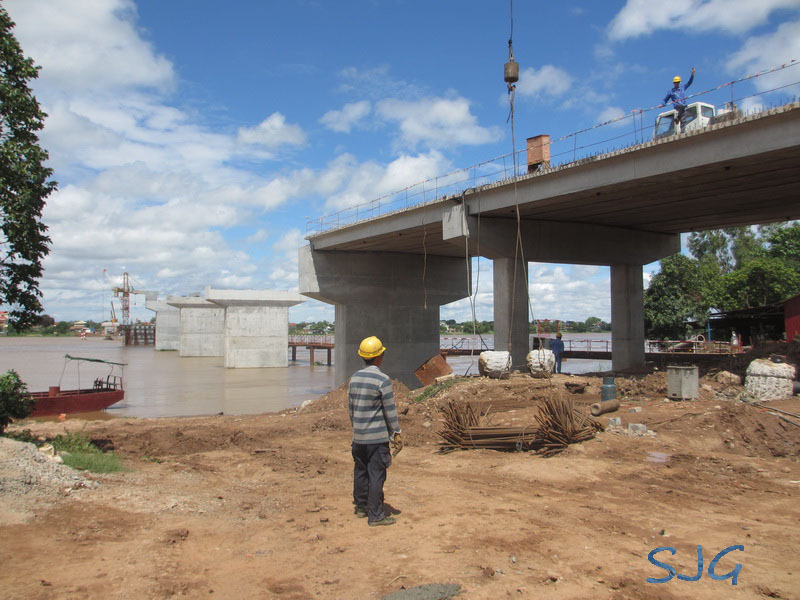 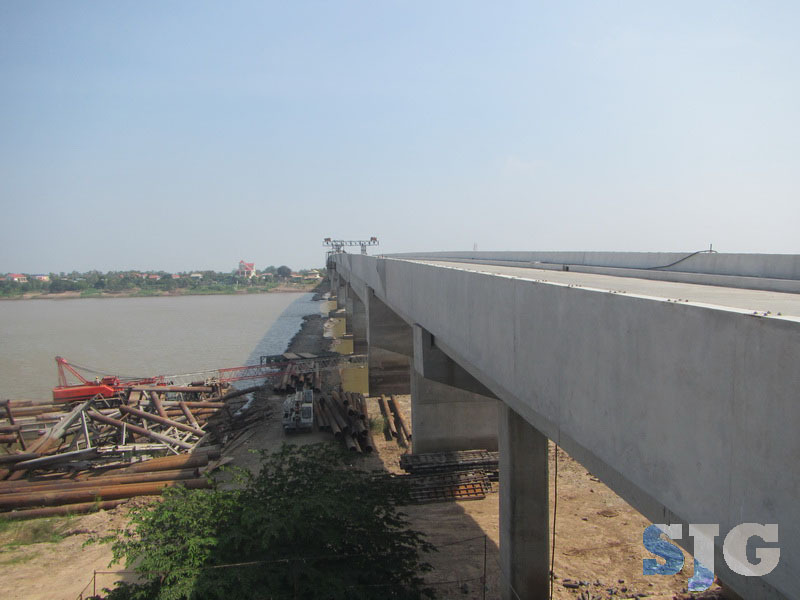 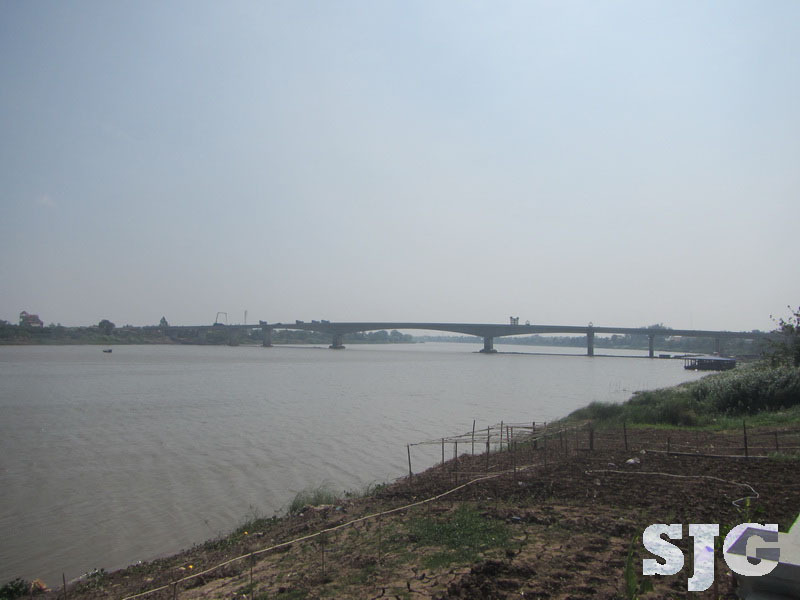 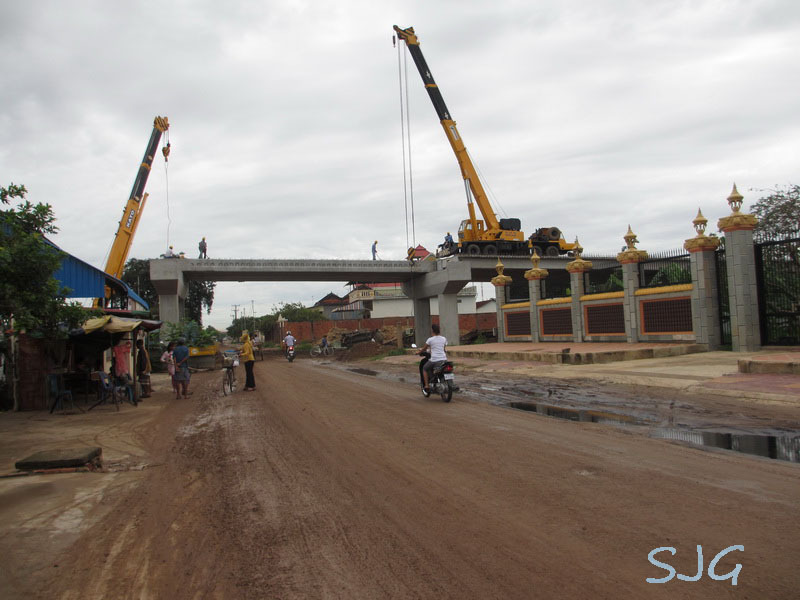 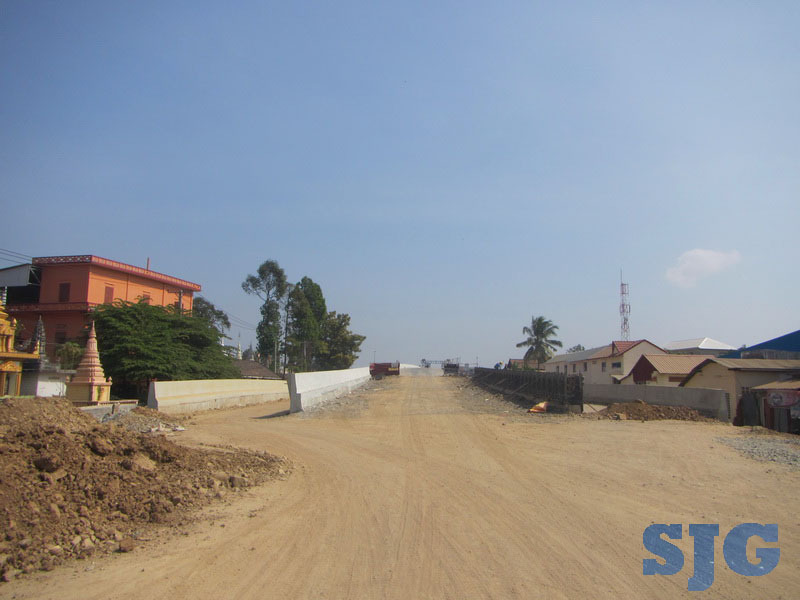 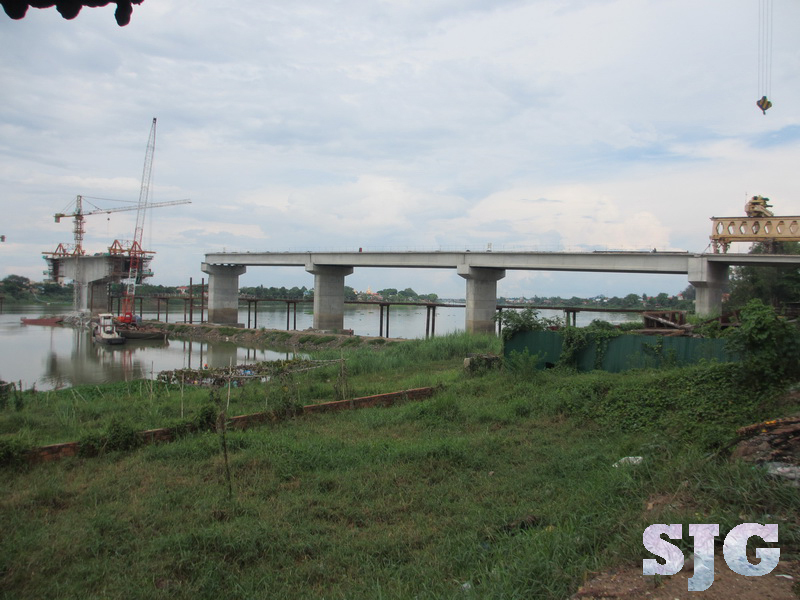 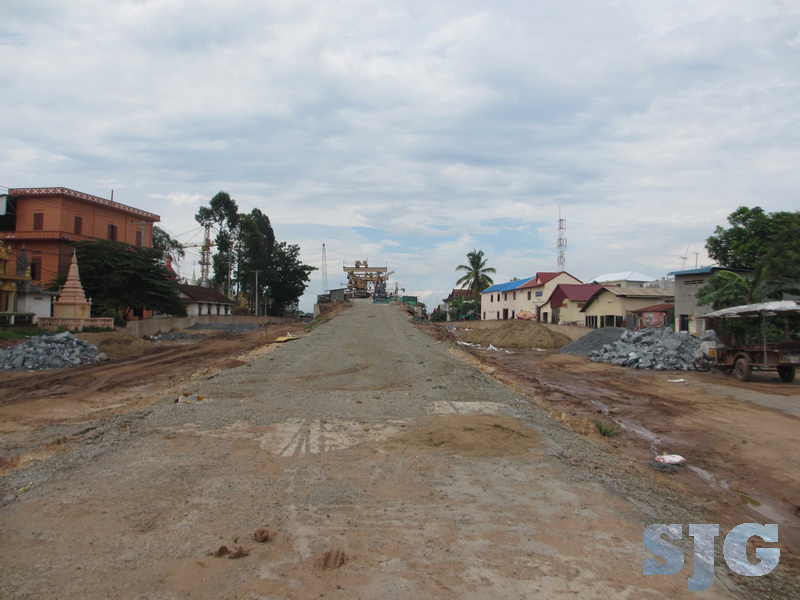 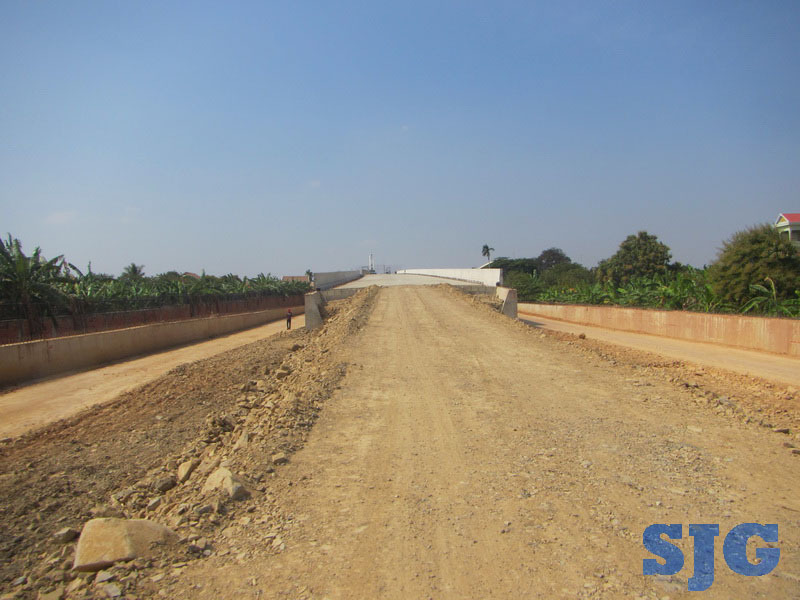 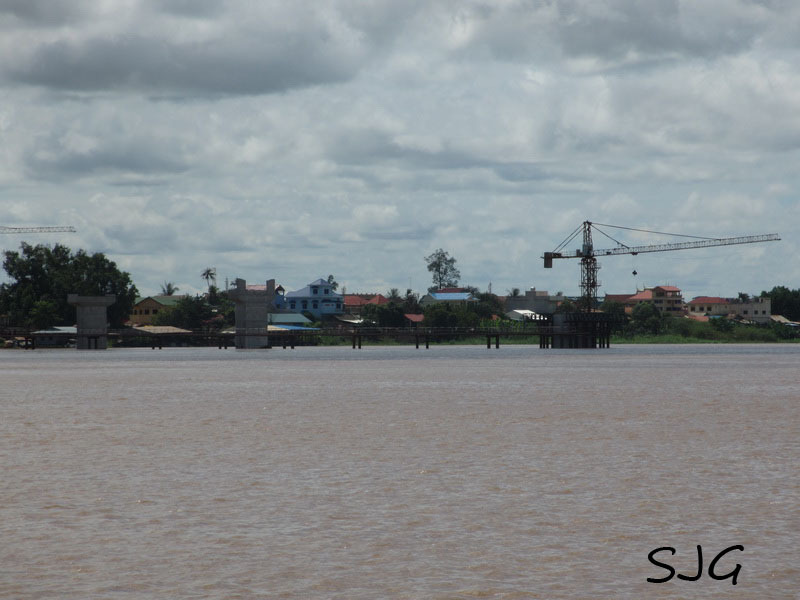 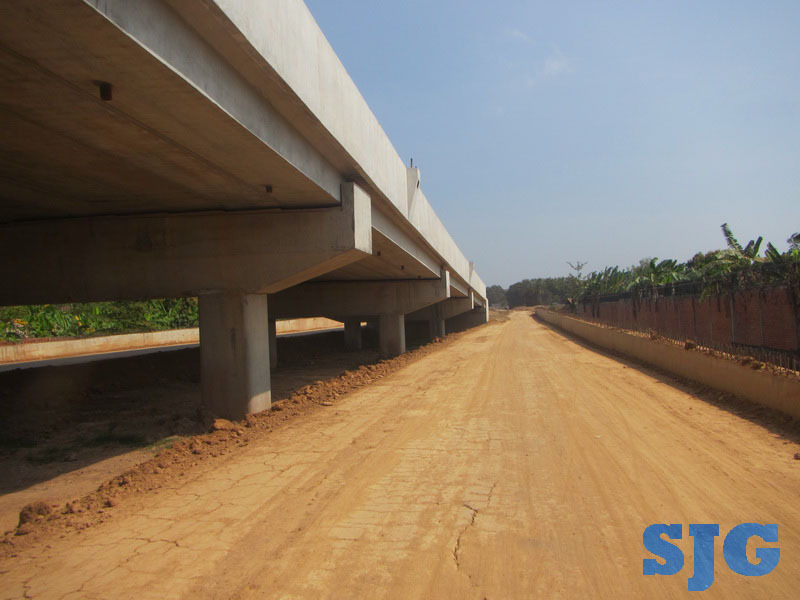 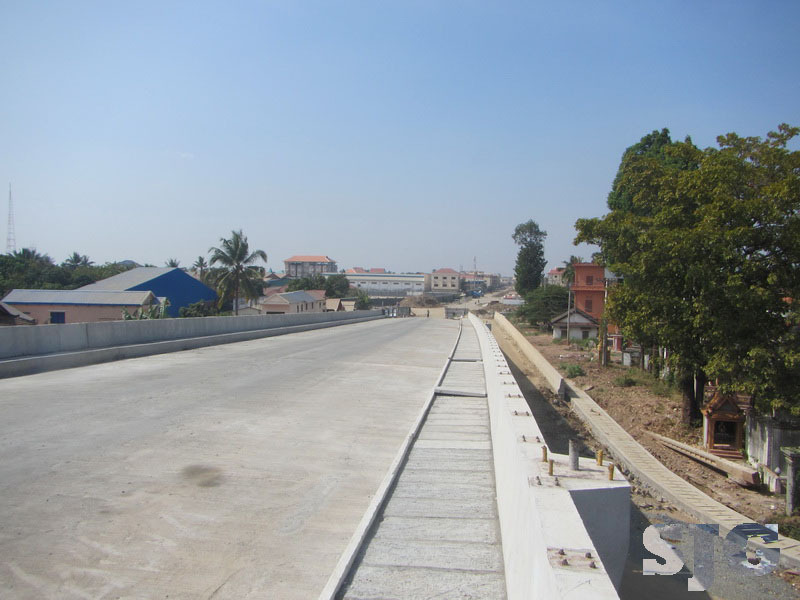 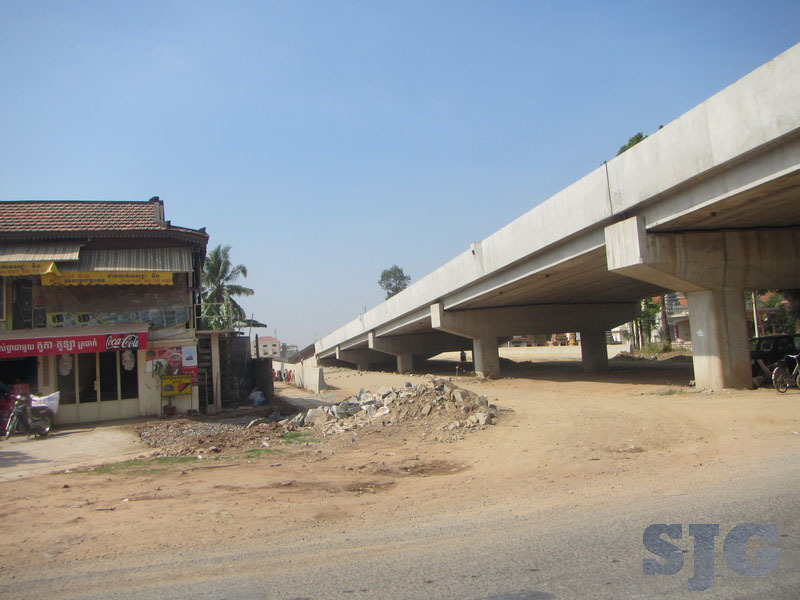 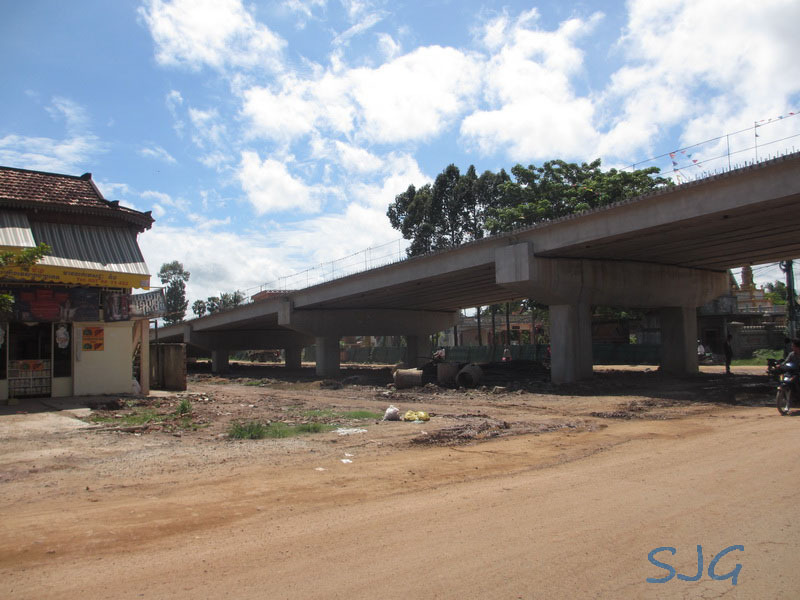 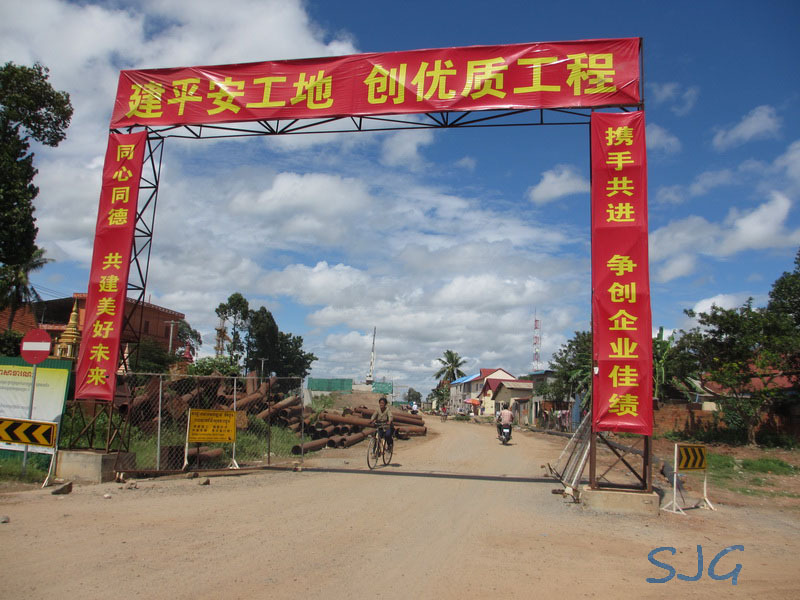 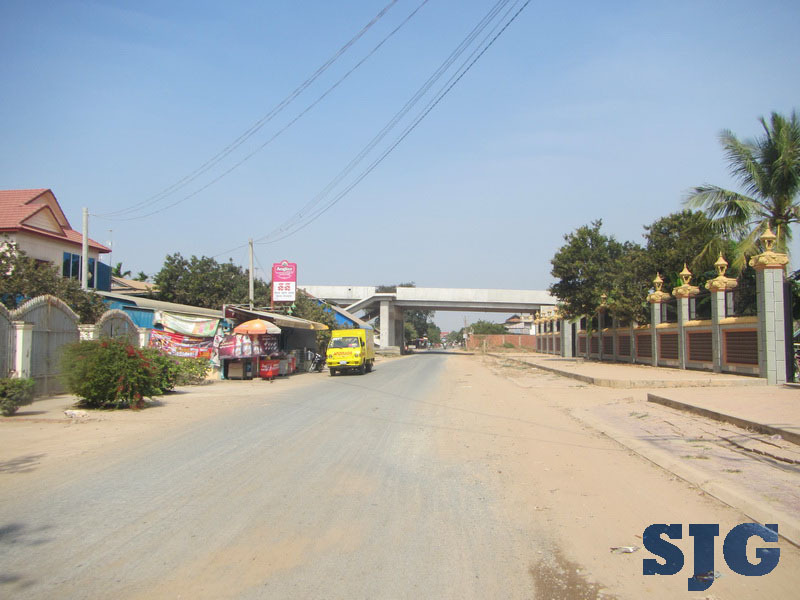 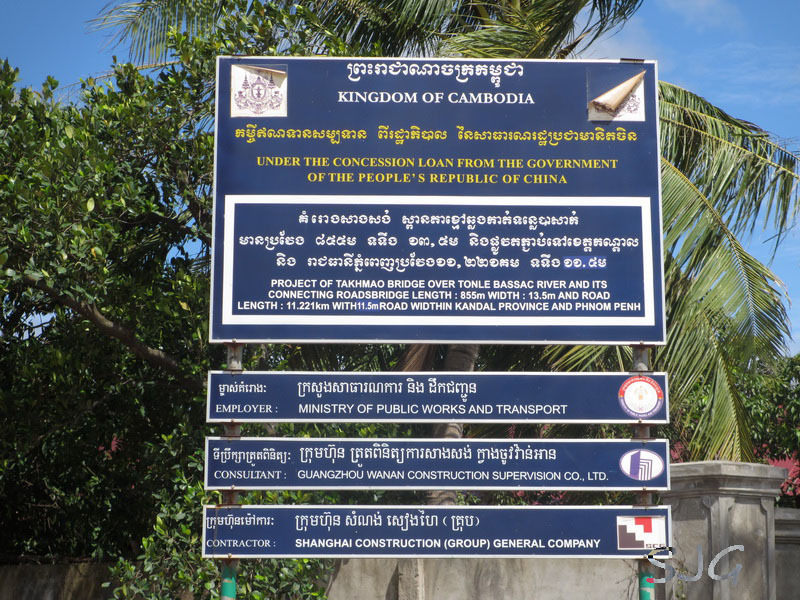 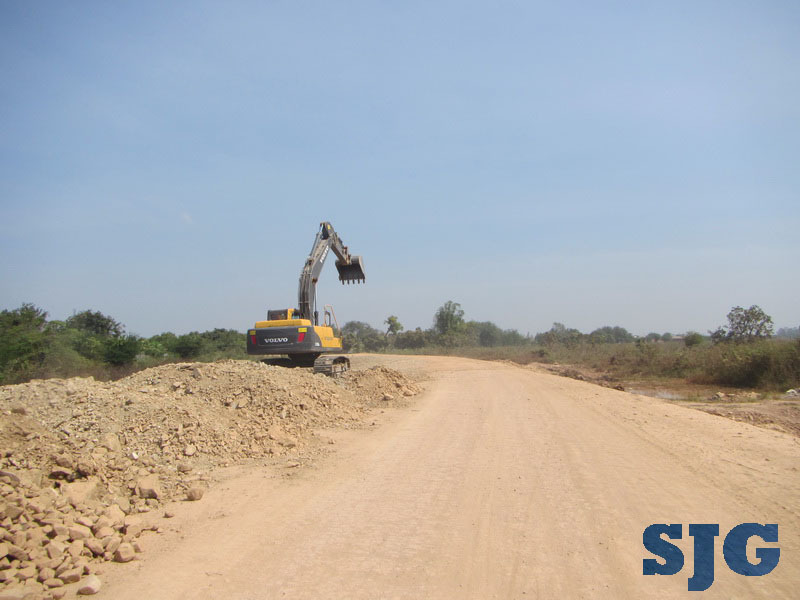 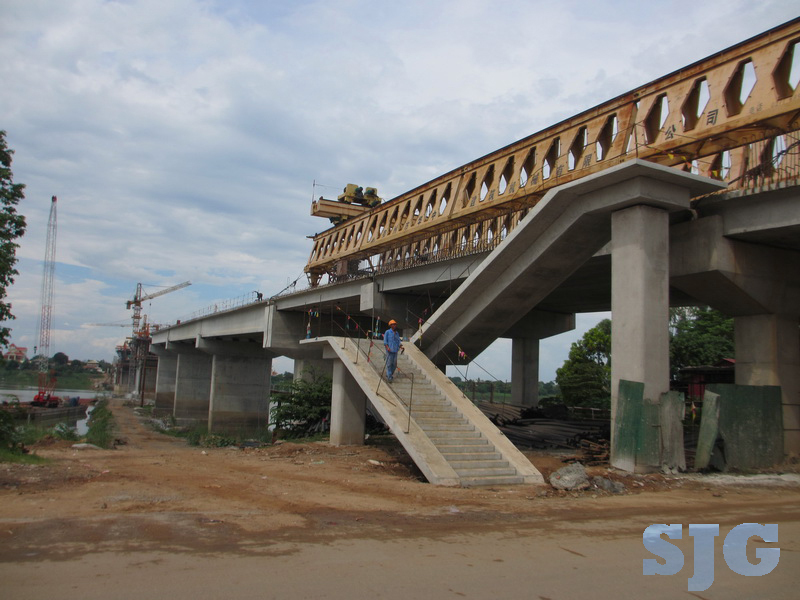 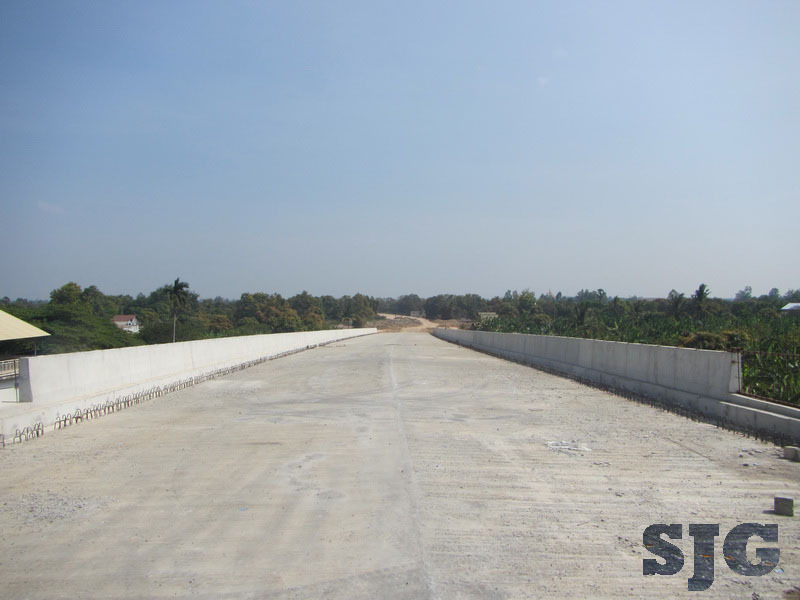 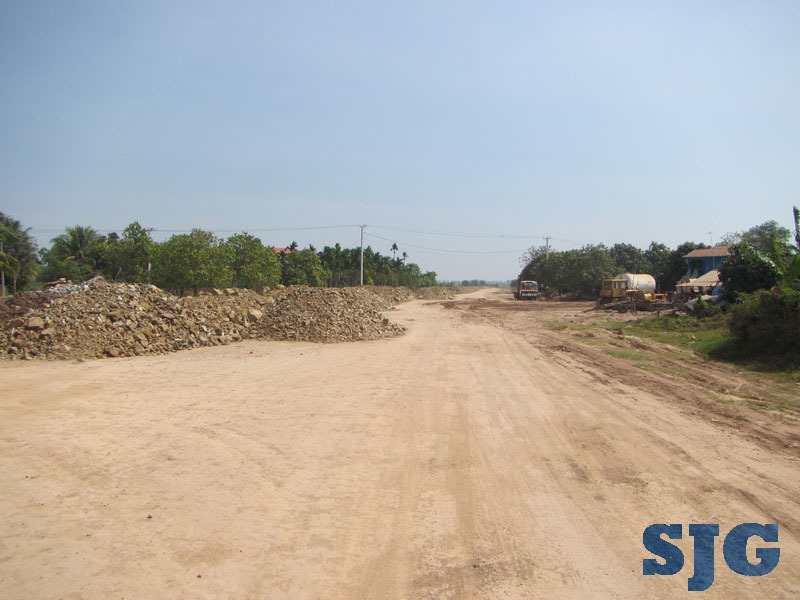 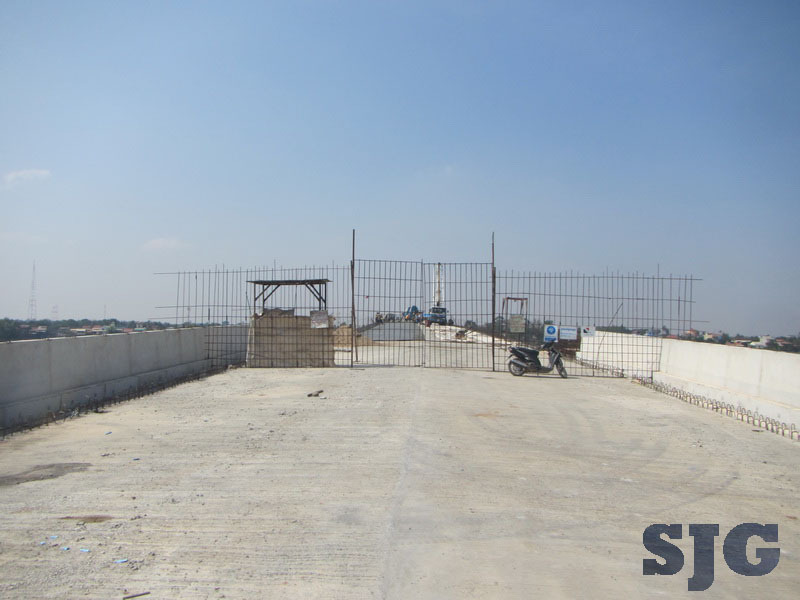 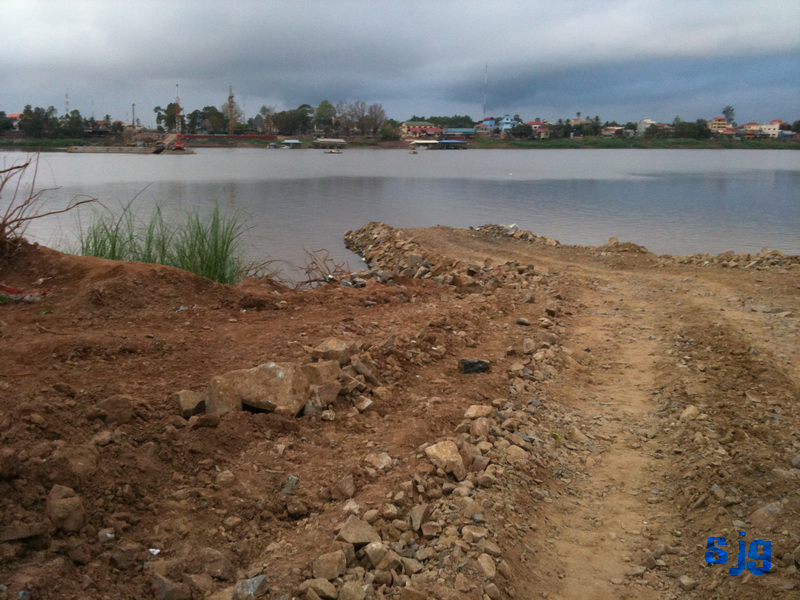 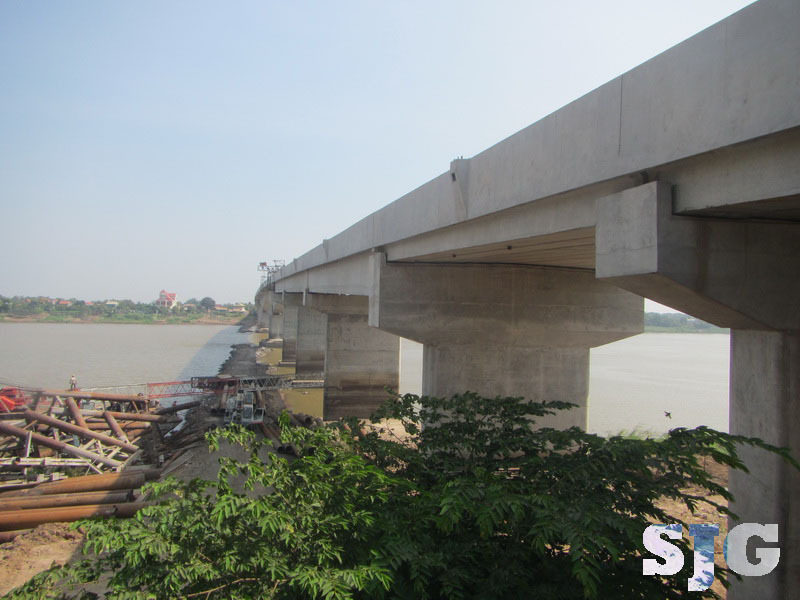 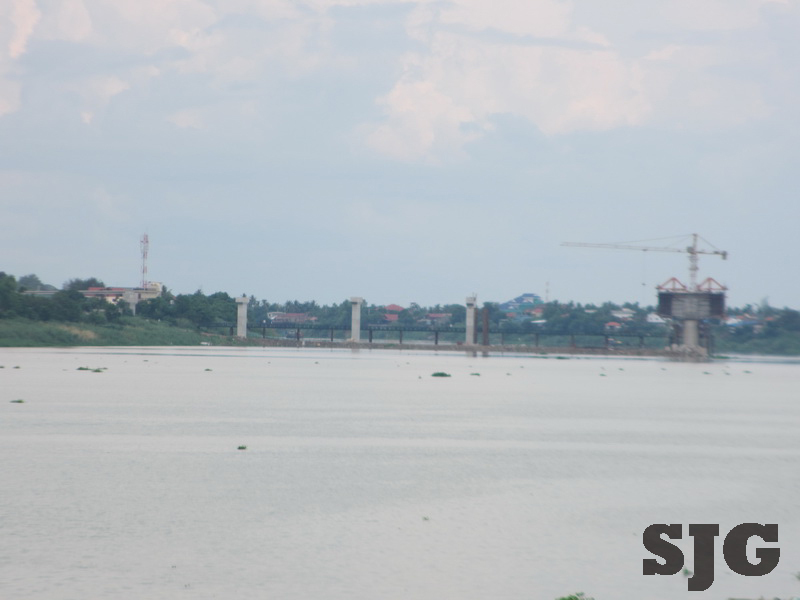 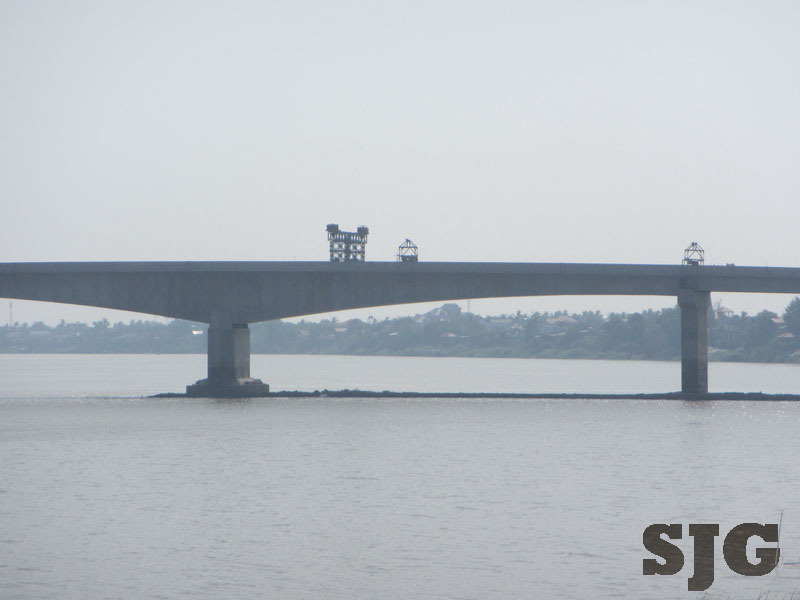 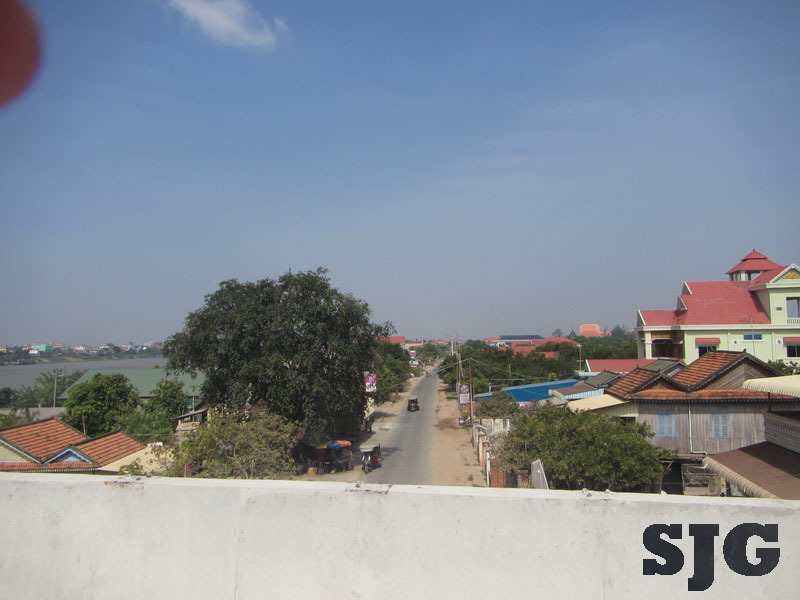 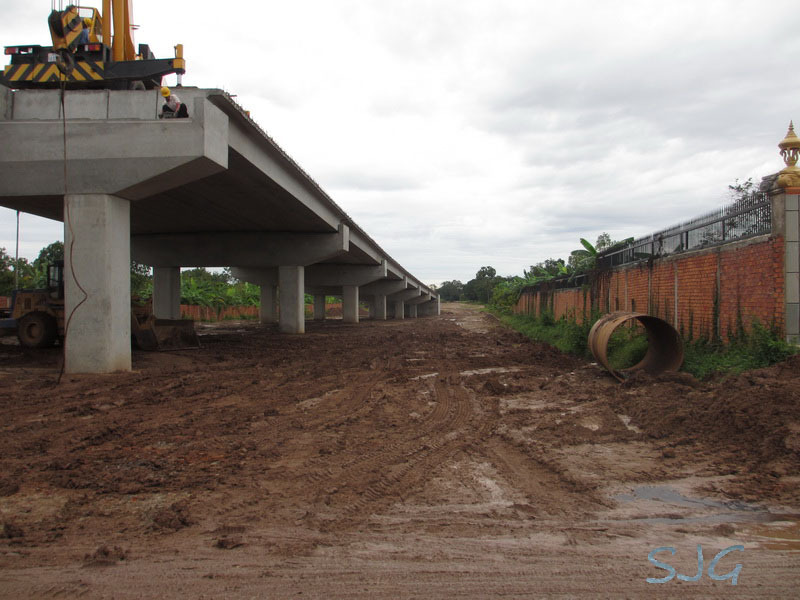 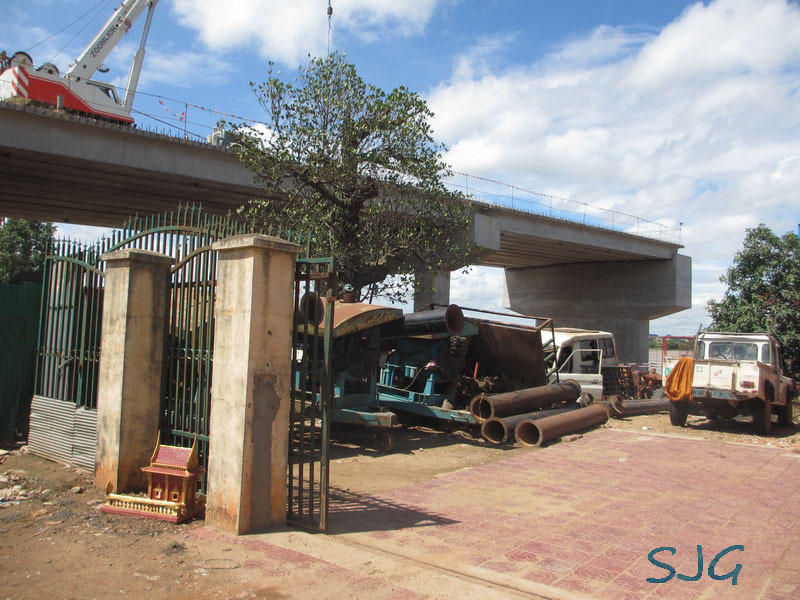 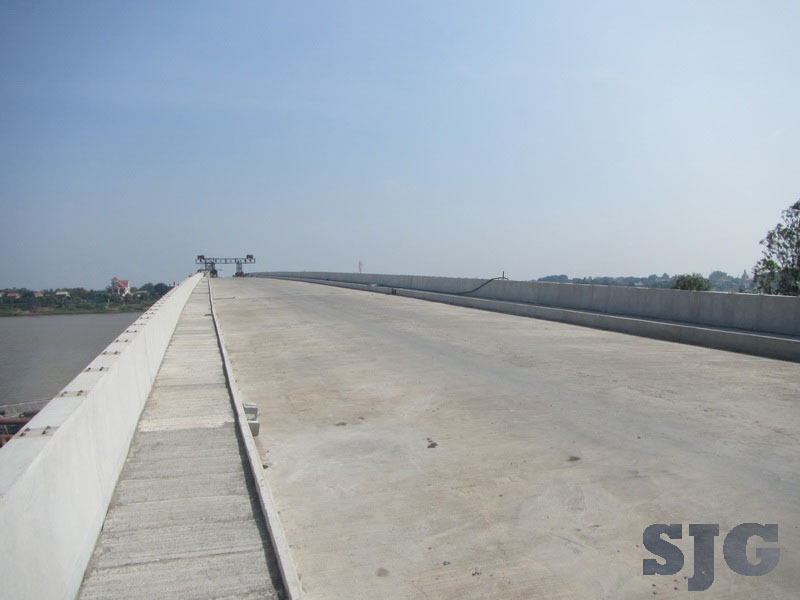 Part of the ring road from Ta Khmao across the new Bassac Bridge and cutting across Kien Svay district of Kandal province (past Tiger Breweries) is under construction and likely to open mid-2014. 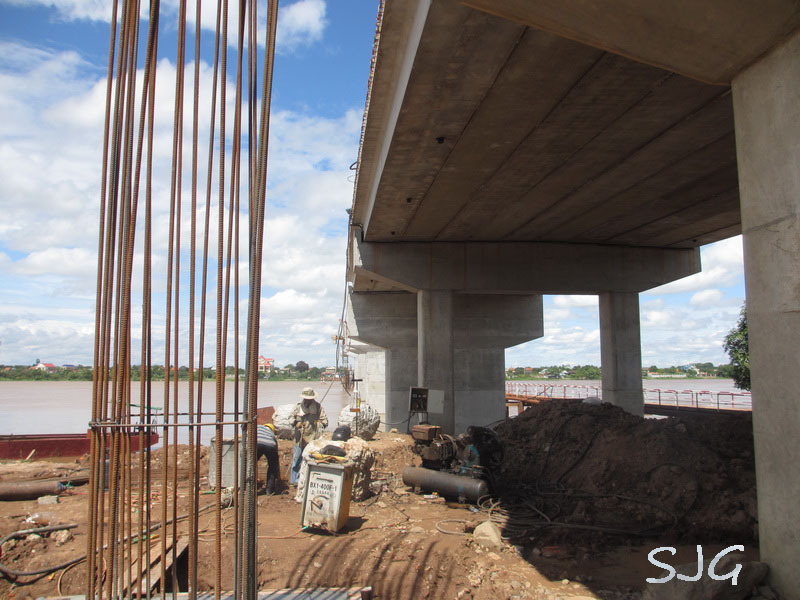 This new bridge across the Bassac will soon be a huge advantage to those in the area. 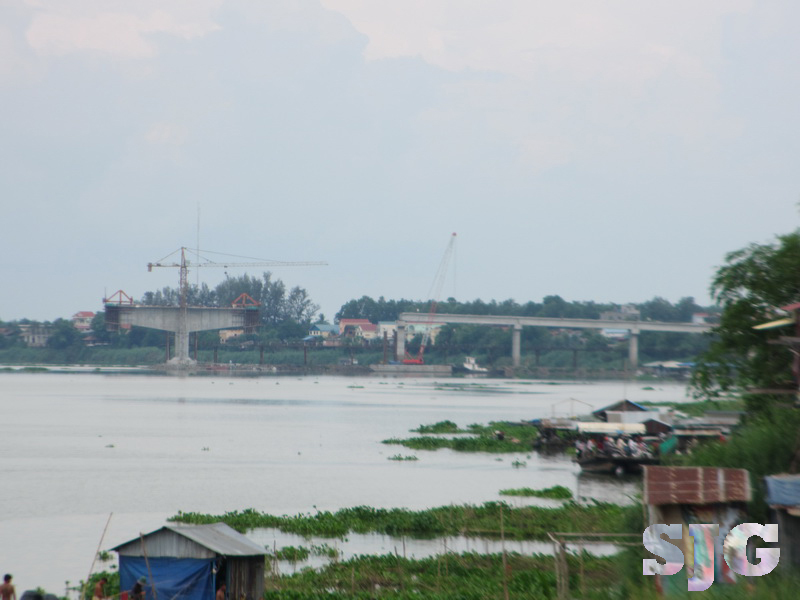 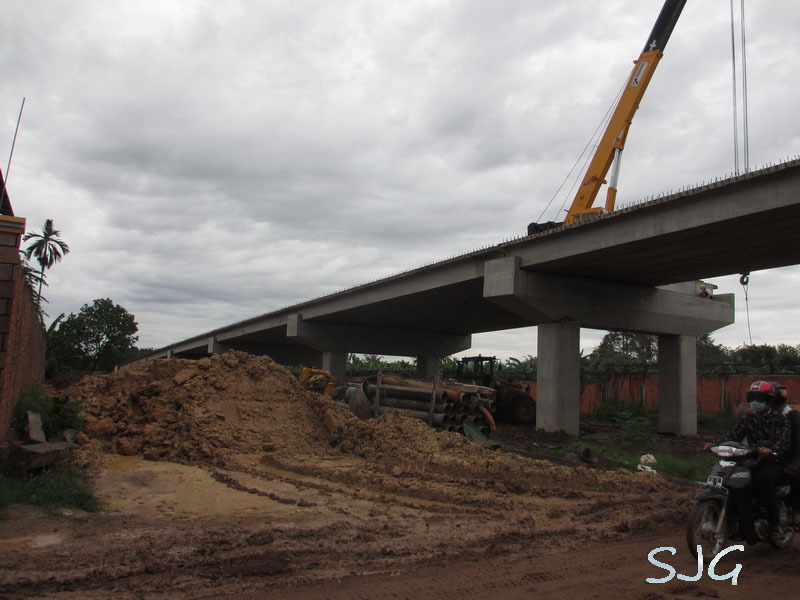 Aside from the bridge, a new highway from Ta Khmao up to Koki Market area on Highway 1 is cutting through the marshland. 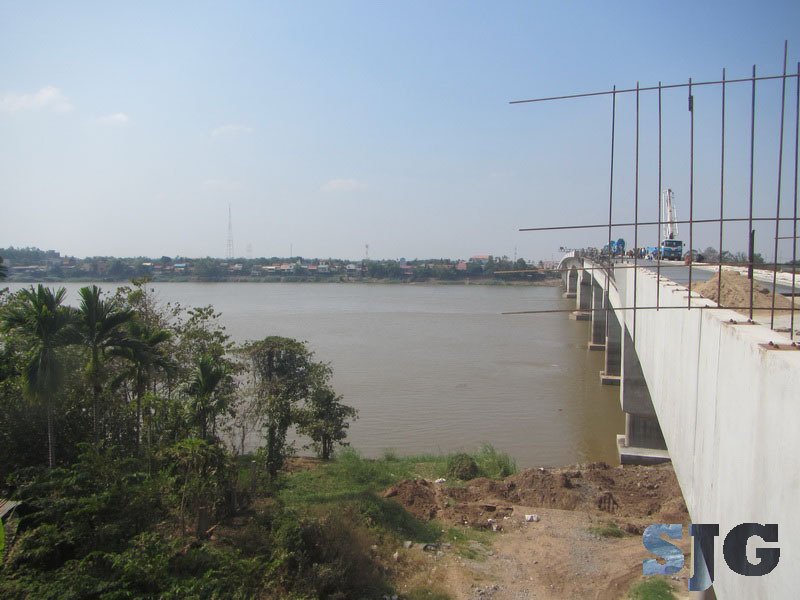 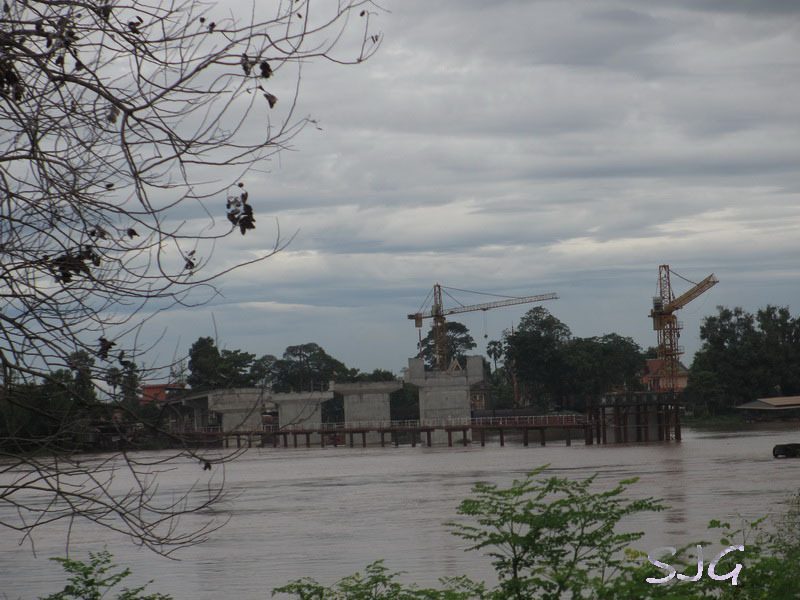 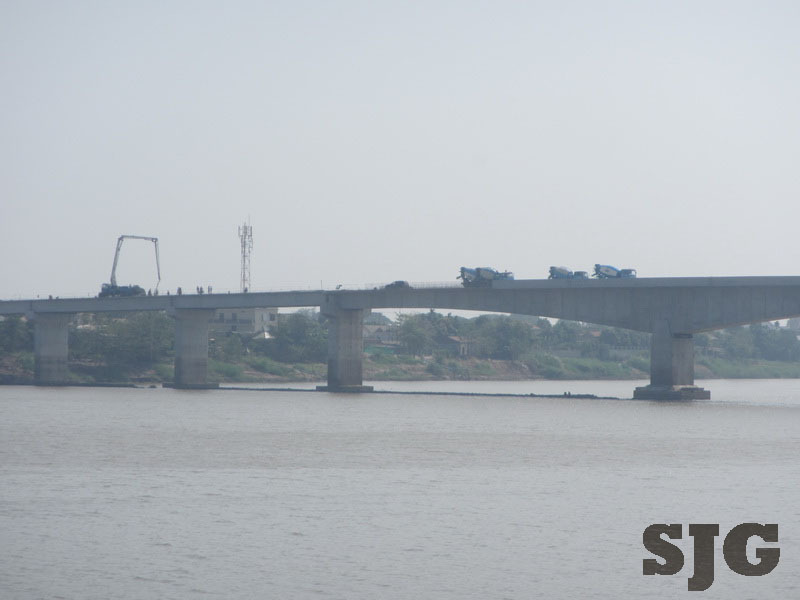 The Bassac Bridge at Ta Khmao is coming along. 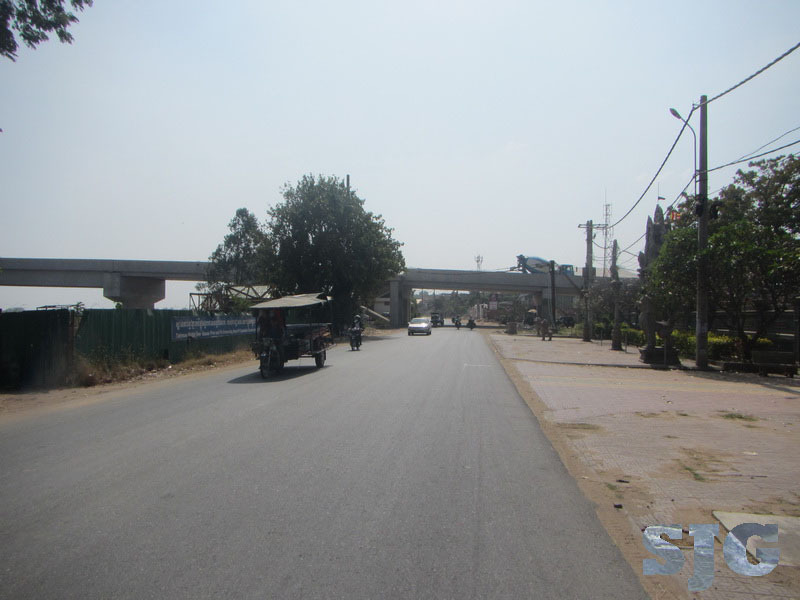 Currently, the road is stretching across established pillars. 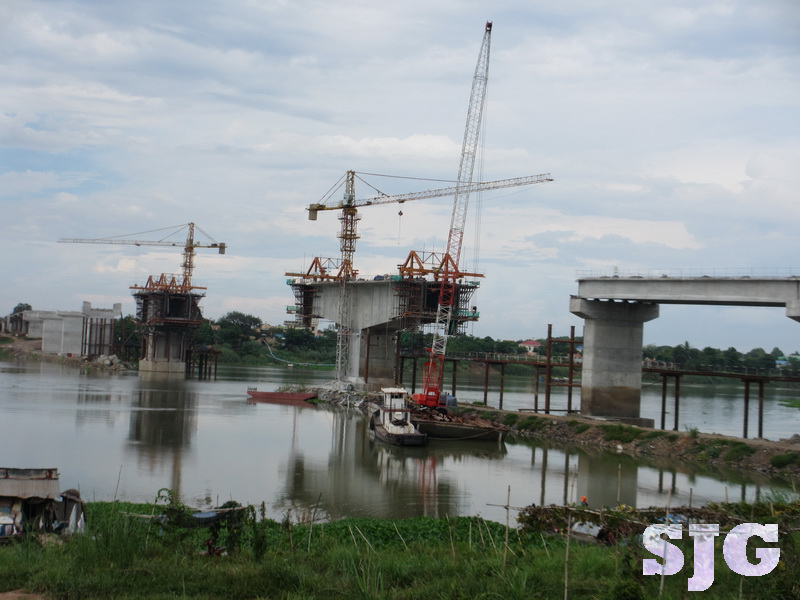 Quite a bit of progress on the bridge now. 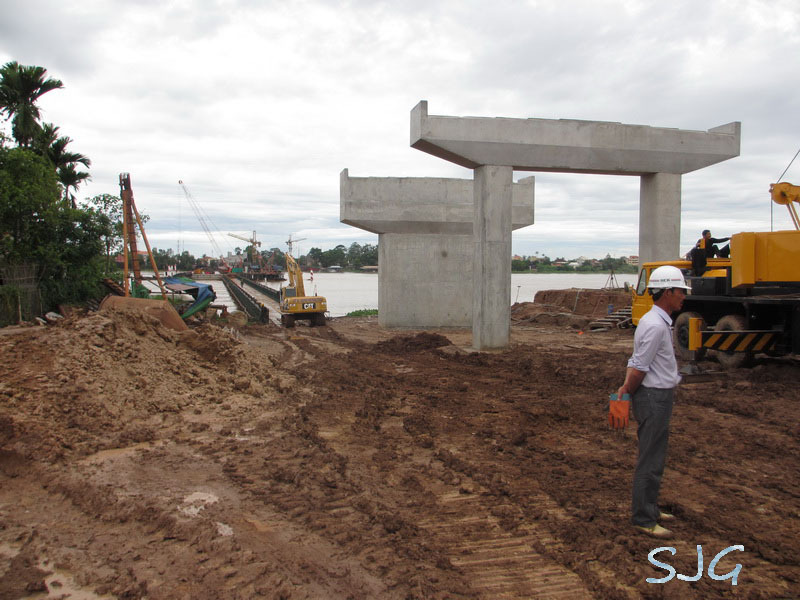 See here the construction of the centre pillar. 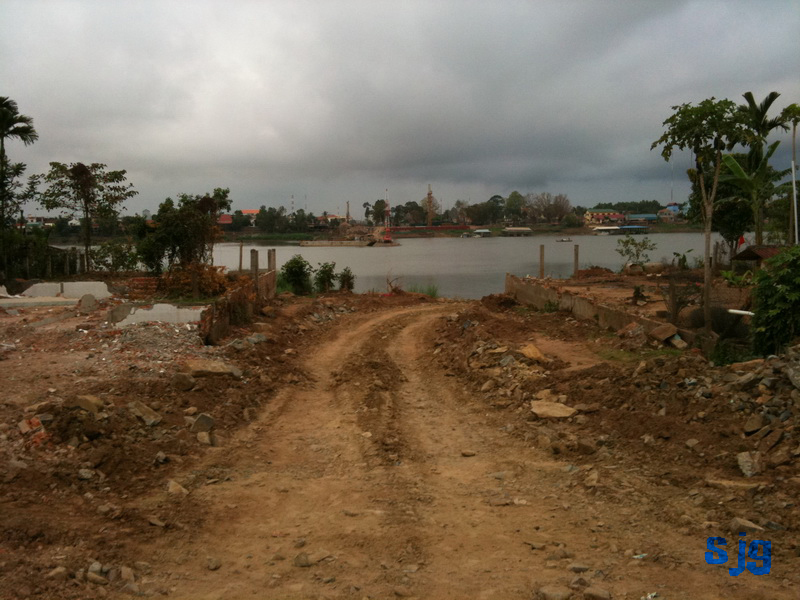 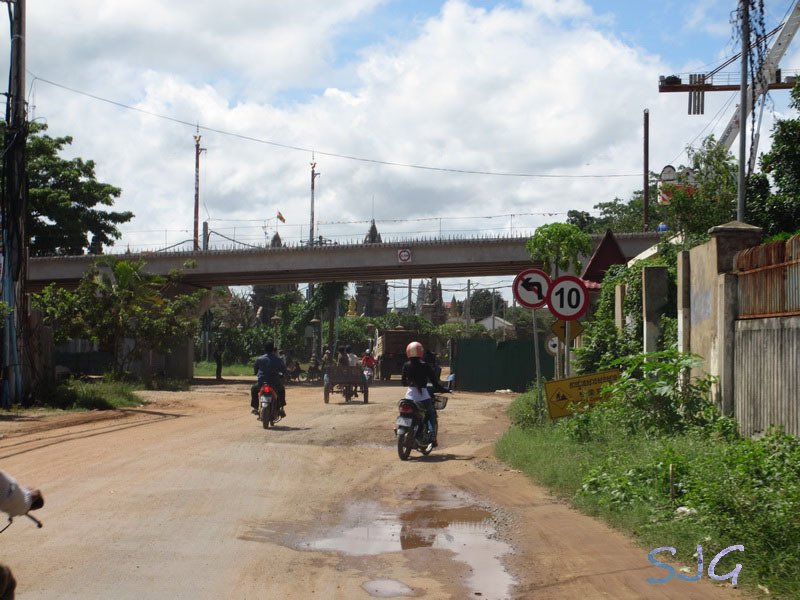 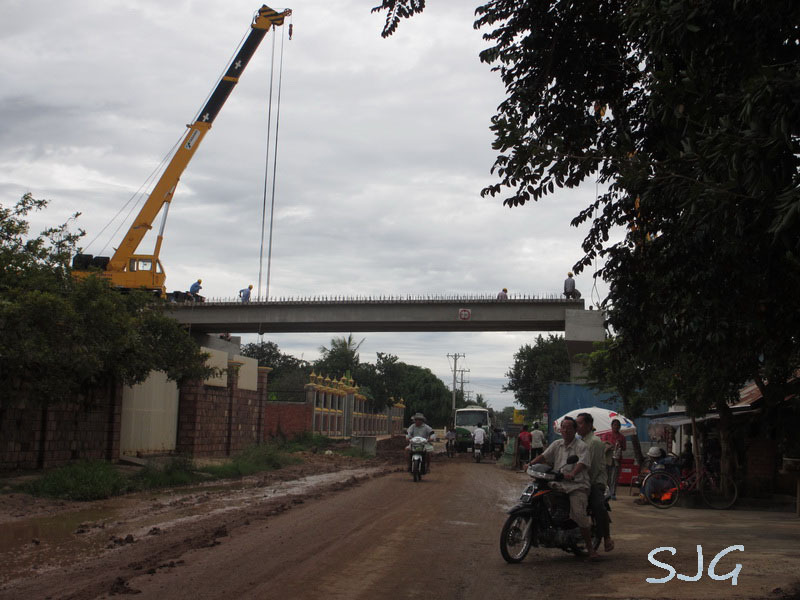 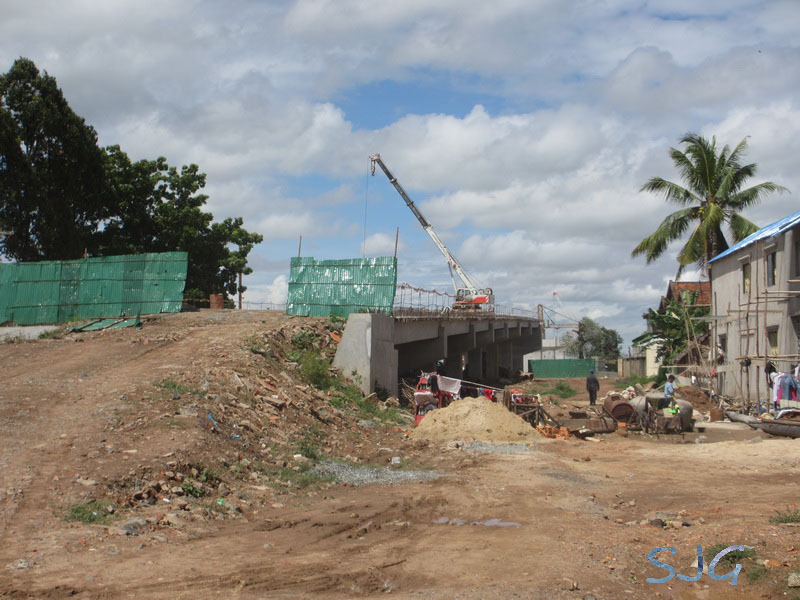 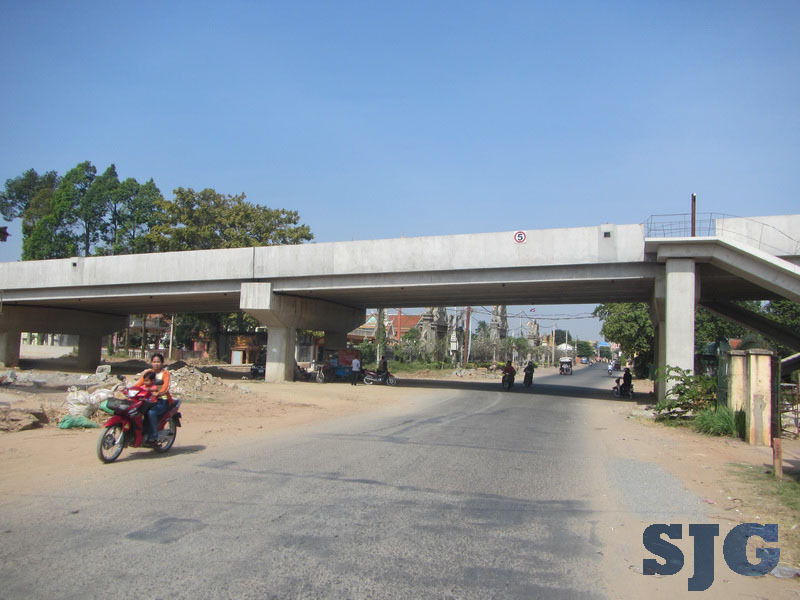 Without much fanfare, construction starts on this little known Ta Khmao bridge (over the tonle Bassac, 15km south of Phnom Penh). 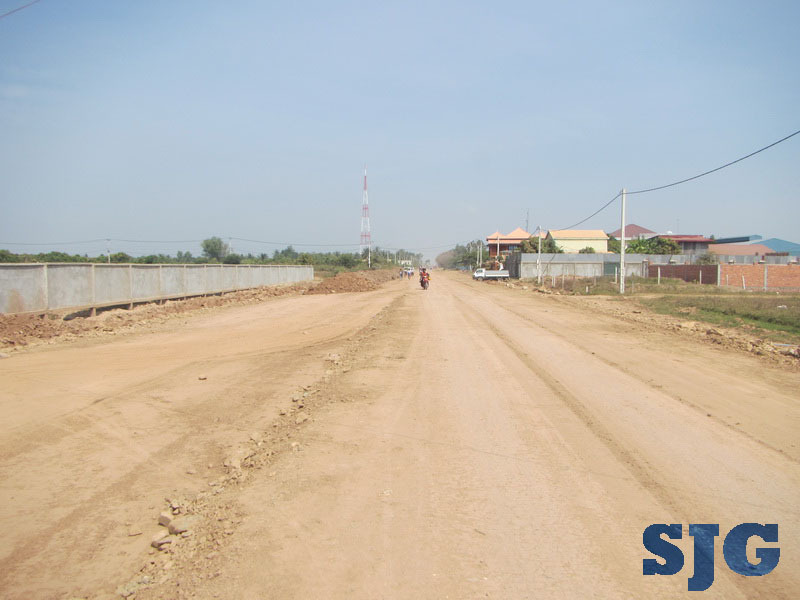 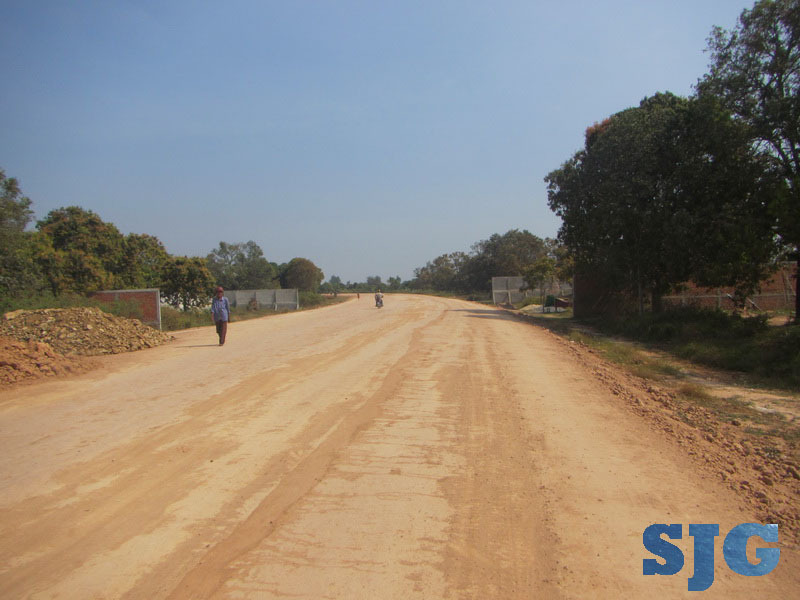 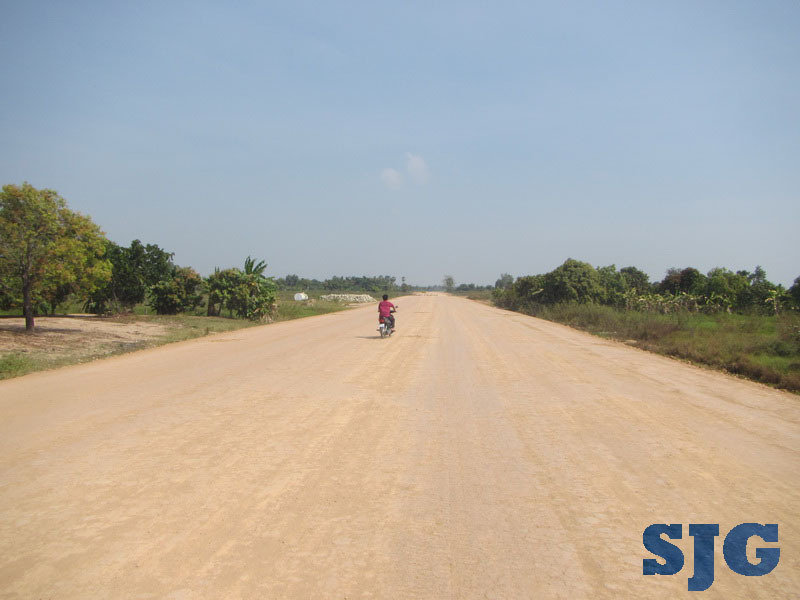 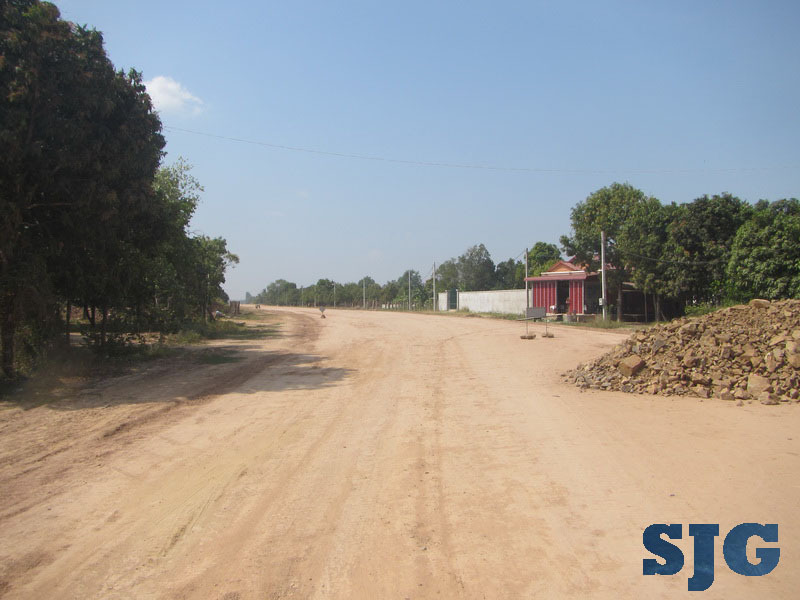 The PP government recently released their ideas for ring roads around Phnom Penh. 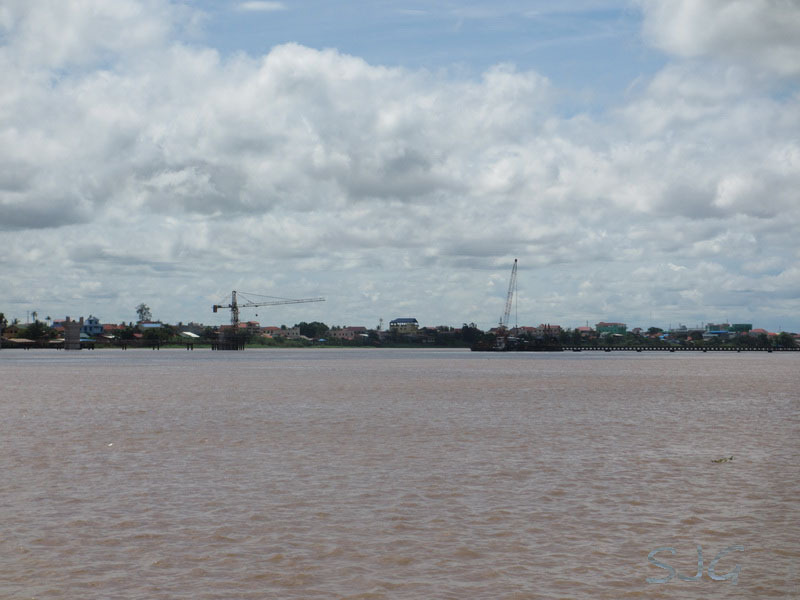 Some of these can’t possible be realised in the next 30 years – especially the ones that have several bridges across the Tonle sap and Mekong rivers – but lets see what happens! 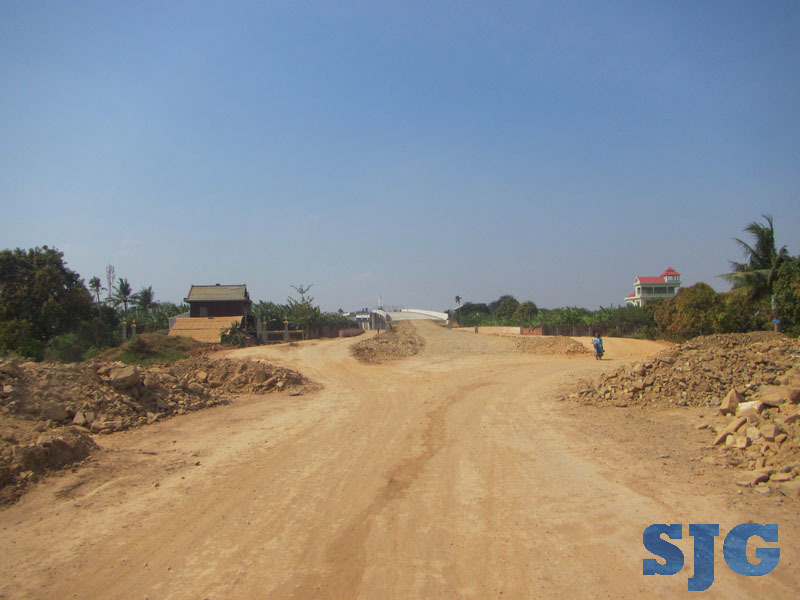 How many years before this outer ring is actually part of Phnom Penh city. 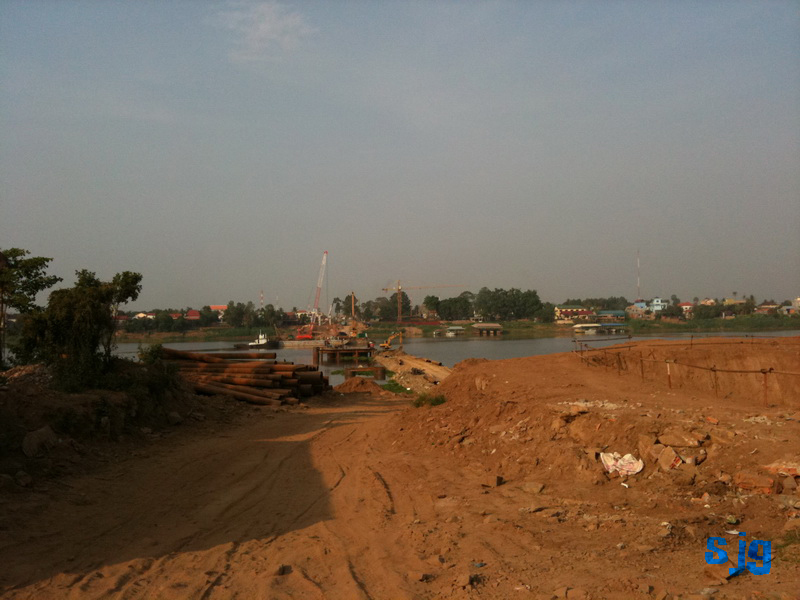 I hope I don’t live to see the day!